Industrial and general concrete floor areas due to use over time get broken up. Patching up is not a solution and It is difficult to repair the surface in the conventional manner as it is highly time and labor intensive with the area being idle for a long period. We provide instant solutions in form of "Auto curing synthetic Self leveling Acrylic flooring which can be laid very fast and are very hard with high impact and flexural strength. 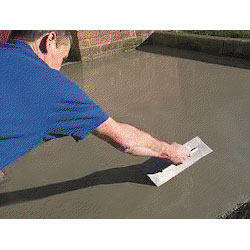 We are one-step ahead of our competitors in offering a wide range of Cementatious Acrylic Grout. These are ready to use free flow Cementatious Acrylic Grout with stage expansion to compensate for the shrinking of cement. Manufactured using optimum quality chemicals and other raw materials, these products ensure better performance and longer functional life. Our products are available at very affordable rates. Floor Repair Mortar are ready-to-use excellent products consisting of special mineral fillers and polymer components with high adhesion capacity. They never contain cement. Its adherence is excellent because of its typical properties. Used for concrete repairs. Has high resistance to weather and chemicals. 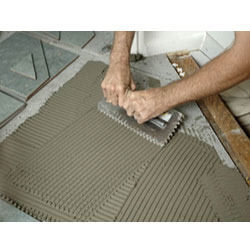 It can be produced as coarse and fine mortar in preferred colours. Looking for Floor Repair Mortars ?